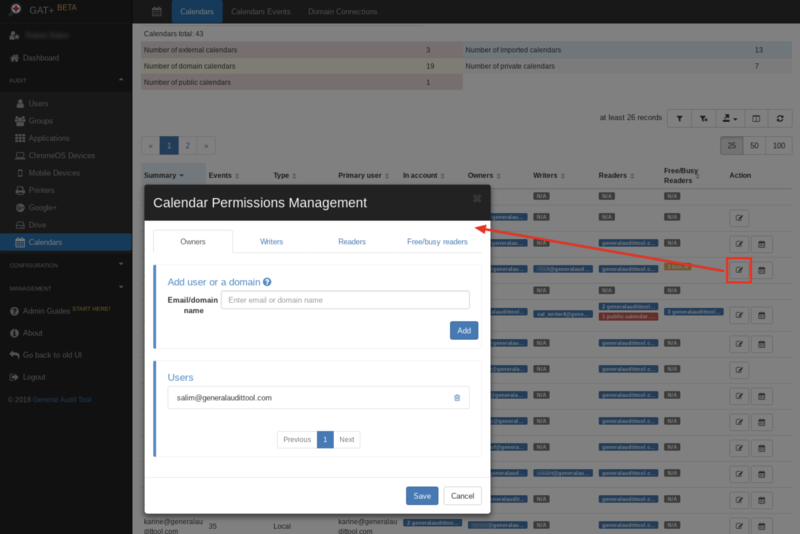 GAT+ has now rolled out a much more powerful Google Calendar Audit and Management panel in its new UI. The new audit makes use of all the new calendar API calls and also provides for real-time, domain-wide, text searches of calendar descriptions. Filtering is done by our powerful new model being added on all our new interfaces.